light movement: Light Movement 26: Dore O.
Stationary shots of a woman (Dore O.) swinging in a swing in front of a brightly colored painting of a stylized phallus edited in a succession of jump-cuts strictly synched to the rhythm of the sound and forming the minimal fimic unit of four frames. Moving either parallel or perpendicular to the painting, the swinging movement is abbreviated, repeated, lengthened. Midway through the film the rhythm of the cutting just about quadruples and it becomes an illustration of Nekes’ theory of the ‘kine’, the minimal filmic unit of four frames. For "Endo-Heat" and "Thermoment", Dore O. filmed the clarinetist Eckard Koltermann with a thermal imaging camera, translating the thermal regions of the inside of the body into visual music music. Visual-thermo composition in analogy to a musical composition. Born in 1946, Mühlheim on the Ruhr, Germany. Was trained as a textile engineer in Krefeld. Ended her formal education in 1967. In addition to being a filmmaker, she is also a self-taught painter who has exhibited internationally, and has produced a variety of books, objects and photos. 1976 married Werner Nekes. First experiences with film as an actor, costume/set designer for Nekes’ films. Her first film JÜM-JÜM in collaboration with him. Between 1966 and 1986 she remained an actor, costume/set designer, camerawoman for many of his films. Along with Nekes she was one of the founding members of the Hamburg Film Co-op, an attempt at distribution of experimental film modelled on the American film co-ops, initiated through a series of independent screenings of “the other cinema” initially called “Filmschau der Festivalaußenseiter” (“Screening of festival-outsiders”) in 1968, later “Hamburger Filmschau”. Failing to conciliate their political and aesthetic stances, the Hamburg Co-op eventually split up in 1974. 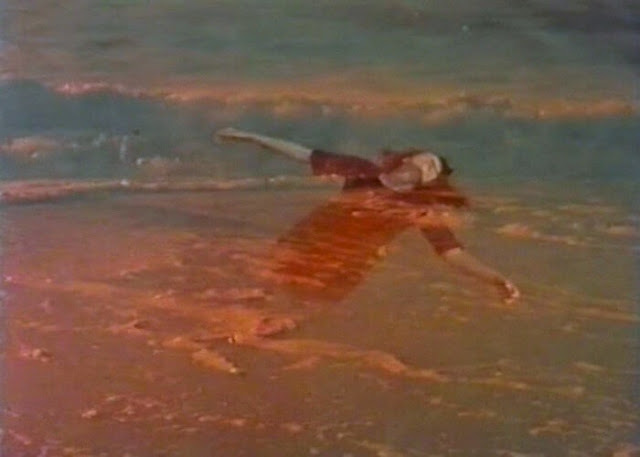 While the audience and Festivals, according to Ingo Petzke, clearly favoured political films, the experimental film almost became of no public interest. From those who have started in the 60s only a diminishing group of obstinate avant-gardists, among them Dore O., remained with experimental film after the mid 70s. 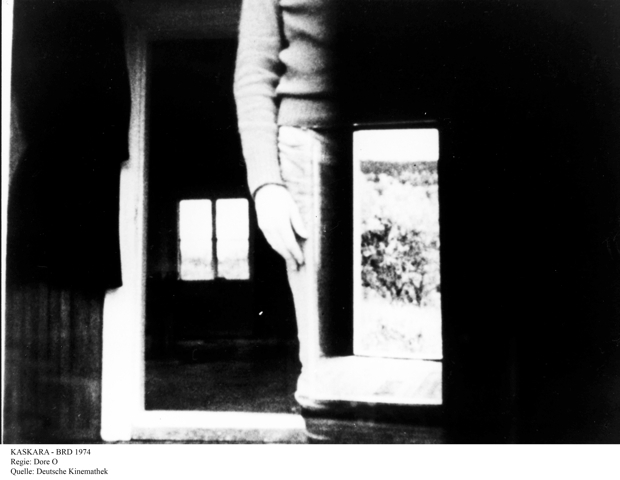 As the first awarded female filmmaker Dore O. won the First prize at the 5th International Experimental-Film Competition in Knokke (Belgium) for her film KASKARA as well as the Critic’s Prize for the best film of the year in 1974-75. 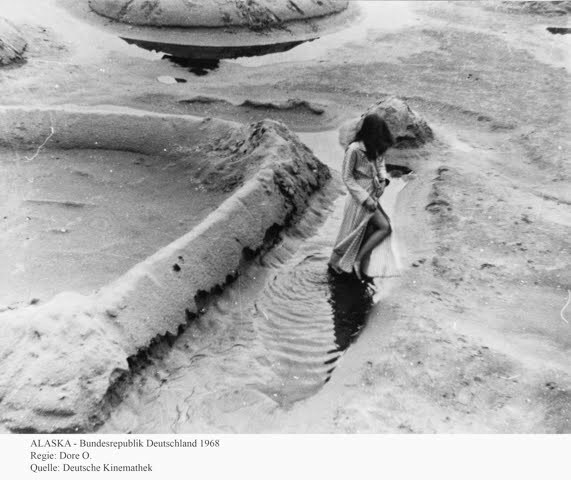 Her filmic work was part of documenta 5 in 1972 and documenta 6 in 1977.